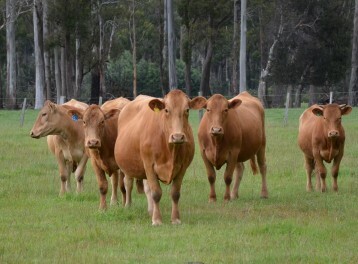 A properly planned move into crossbreeding, making use of the benefits derived from hybrid vigour and the combining ability of different breeds, will increase profit per hectare for a beef enterprise. For further information visit our crossbreeding pages for valuable facts and testimonials. Also see the 2017 South Devon Review for many interesting articles on crossbreeding with Blonde D’Aquitaine, Brahman/Belmont Red, Bazadais and Angus/Friesian. THE SOUTH DEVON NEWSLETTER IS AVAILABLE QUARTERLY ONLINE AND CAN BE FOUND ON OUR “NEWSLETTER PAGE”. HAVE A LOOK AT ALL THE LATEST NEWS ON WHAT IS HAPPENING WITH SOUTH DEVONS. South Devon can improve your cattle profitability either straight breeding or crossbreeding. You can access South Devon society members, sale details and animal pedigree and performance information.